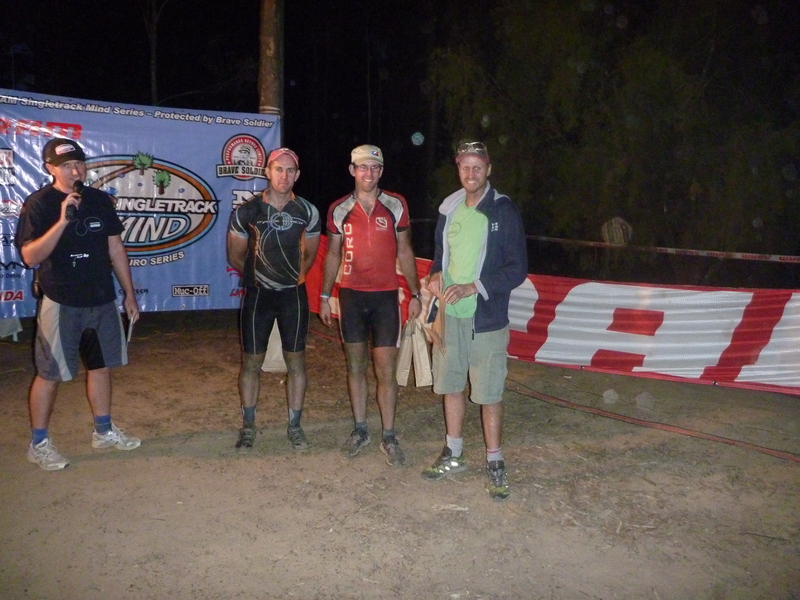 Singlespeed podium, Sean, Me, Kent with Joe on the mic (fullsize) As part of our lead up to the Mawson mtb Marathon, Andrew and I headed down to Nowra to compete in round 2 of Joe and Fi's Chocolate Foot Single Track Mind endurance mtb series. This time it was an 8 hour race on the SCUM course at Nowra. Many of the mtb-oz crew were there (Dave and Helen, Matt and Sim, Liam, Tyno, Rob, sMarti, Spoonie, Ray, Dreggsy, etc) though none of them were racing solo, oh well Andrew and I were. After my night ride of the course on Saturday I thought it was a little bit boring, however my mind was soon changed once the race began on Sunday morning, the course is a lot of fun once you up the pace and have others around you. As always I started off a bit harder than I probably should have, with a few laps around 30 minutes (one sub 30 minute lap even), then after my first stop for new drink bottles I slowed down to 33 minute laps for a while, by the end of the day I was stopping most laps for a bottle or similar and was doing 35 to 36 minutes a lap. Andrew caught me around lap 5 and by the end of the race had almost lapped me, he got 15 laps in, I got in 14 lap. 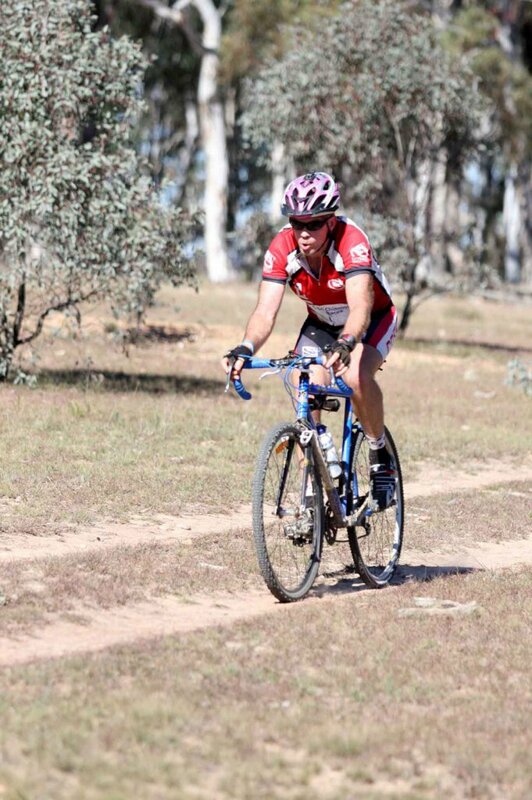 On the 10.5km course that was 145KM on the single speed in almost exactly 8 hours (I timed my finish and effort fairly carefully as I was not keen on heading out on a 15th lap (yes I am aware they did not have CORC style rules in place, I did not have to be on track after 8 hours, however I would have felt I should head out if I came in before 8 hours)). Even though it was the single speed enduro champ round of the series there were not many people there on SS bikes, early on I thought Liam was winning as he passed me, however he was in a team so it turns out I won the category (though only by 13 minutes) which was cool. Fun was had. In an effort to ensure I did not skip another year of this tradition I was having a look around for some interesting zombie related stuff, and what do you know, it seems it may not have been by accident that my annual zombie post happens in May. Some other people have suggested May is Zombie Awareness Month. And I was interested to see some zombie related suggestions about why you should get out and exercise like I do a lot, Zombies hate fast food, of course if we are on the subject of t-shirts, there are some others on this theme, such as this ST:TOS Bones unquote, He's Undead Jim. And just to tie this in to my diet (and maybe disprove the bad zombie joke from May 2005) there is a vegan bakery in LA that has photos of a rather yummy looking Chocolate Zombie Cake and better yet Brain Cupcakes, maybe Vegan Zombie Cupcakes will take over the world. (neat they have a new book Vegan Cookies Will Invade your cookie Jar). The Yerrabi race is a great multi race, it is short and fast (just over 2 hours for the mens winners most years), no where near as tough as Googong and no swimming (and not as tough as Jindabyne solo obviously). 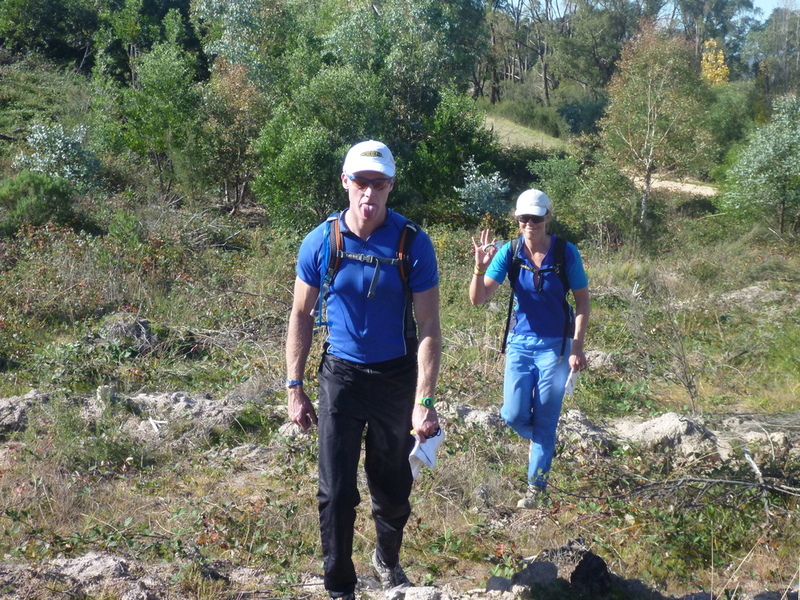 Also being able to do a race in Gungahlin is an interesting change as generally that is not a location we normally think of for any outdoor events (running, road cycling, mountain biking, paddling, etc). I won the race last year, however I was expecting it to be tougher to win this year, for two main reasons. I have been unable to run since the Aus Rogaine championships due to various knee injuries and with my knee still injured I expected it may not hold up well in the two runs. The second reason was Mark was rocking up to race and I knew he would be pushing me to try and get ahead of him and hold him off if I managed to get there at all. I did finally manage to pass Mark in the bike leg (he had a faster first run and I did not catch up in the paddle), however did not get much of a gap and he passed me in transition and then held me off in the run easily. We have both been talking about how awesome it would be if we had more of our friends compete in the race next year. The competition and field would be incredible if all the Arnuts rocked up to do the event. Randall, Chris T, Dave B, Alex, Gary R, Gary L, Mark, Nathan, Kim, Ian, Tom, Myself, etc. The womens race could be awesome if more of our friends rocked up too, just imagine the competition if Selina, Susie, Libby, Danielle, Danealle, Heather, Julie and Alina all raced. I am sure no one who knows me will be surprised to hear I had slow transitions too, Mark commented to me that my transitions that he saw were really slow, maybe Fatty is on to something with suggesting transition training (highly amusing). 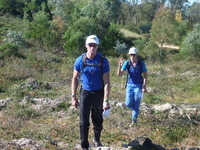 More photos from the race are on the sri chinmoy site. Mark and Selina near a Dam (fullsize) I finally was able to compete at the ACTRA Paddy Pallin 6 Hour Rogaine this year, Lizzie, Haylee and I had a fun day out despite my injured knee forcing us to slow down after the first 1.5 hours or so. Photos are online at my 2010 ACTRA Paddy Pallin 6 Hour Rogaine page.